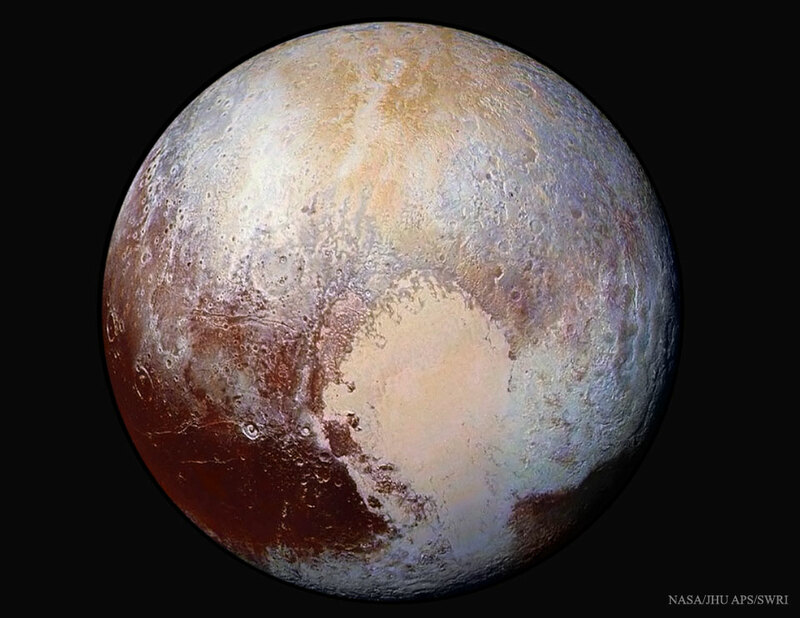 Explanation: Pluto is more colourful than we can see. Colour data and images of our Solar System's most famous dwarf planet, taken by the robotic New Horizons spacecraft during its flyby in July, have been digitally combined to give an enhanced view of this ancient world sporting an unexpectedly young surface. The featured enhanced colour image is not only esthetically pretty but scientifically useful, making surface regions of differing chemical composition visually distinct. 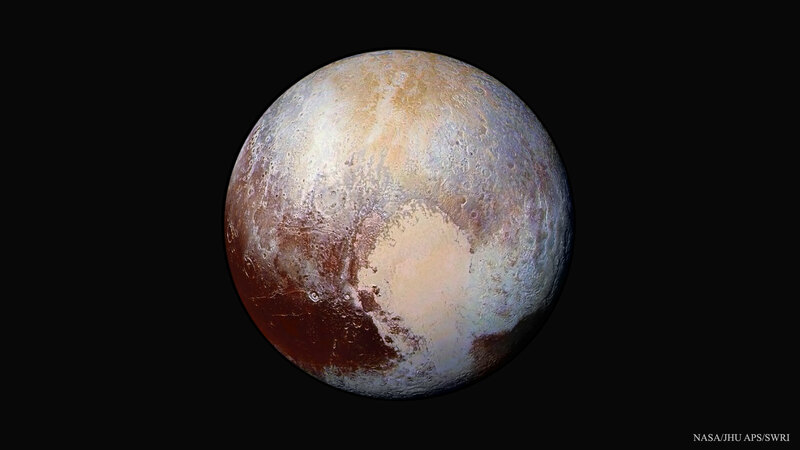 For example, the light-coloured heart-shaped Tombaugh Regio on the lower right is clearly shown here to be divisible into two regions that are geologically different, with the leftmost lobe Sputnik Planum also appearing unusually smooth. New Horizons now continues on beyond Pluto, will continue to beam back more images and data, and will soon be directed to change course so that it can fly past asteroid 2014 MU69 in 2019 January.